Recently, ASIC Bitcoin miners have hit the scene and have basically destroyed the difficulty in a matter of a few months. The difficulty in March was around 10 million and in the past couple months it shot up from 30 million to a staggering 86,933,018 (as of September 04, 2013). There are only a few companies producing ASIC miners today. At this point, you either need to have an early pre-order or pay thousands of dollars. Another option is to build your own from ASIC chips, but that is beyond the scope of this article. Avalon (http://launch.avalon-asics.com/) was the first company to produce ASIC miners. They only accept Bitcoin as payment, and they only do batch orders. These are hard to get. Ebay is your best bet to get one of these now, but be prepared to pay anywhere from $5,000-20,000. 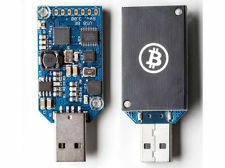 Butterfly Labs (http://www.butterflylabs.com/) is one company that produces relatively cheap ASIC miners. 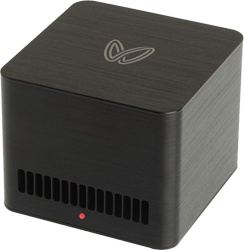 Their 5 GH/s miner, or Single, which used to be called the Jalapeno, is $274. Their new Monarch BPU 600 C is a 600 GH/s miner and it is $4,680. The major downside to this company is their horrid shipping times. The very first pre-orders were taken June of last year and only a small number of those have finally been shipped. What this means is, if you were to order one now, who knows when you'll see it, if ever. They have had some shady business habits. One of these shady business practices is not honoring a refund. Their policy states there are no refunds once the ASICs have started shipping, but the law says otherwise, and after a year without seeing a miner, one has every right to demand a refund. This page details exactly how to get a refund if BFL gives you trouble or denies a refund. This site keeps track of every order that has been submitted, what they ordered and when, and whether or not it has been shipped. It doesn't seem to have been updated for a while, though. KnCMiner (https://www.kncminer.com/) is a new ASIC producer and has miners available to order now, with expected shipping in November. Their Saturn ASIC is 200GH/s and costs $2,995, and their Jupiter is 400GH/s and costs $4,995. There are now many USB ASIC miners available, also called Block Erupter, which range from 300MH/s to 3GH/s and maybe more. These can be found on Ebay and Amazon and elsewhere.